Normally, children receive numerous vaccines, depending on their schedule. Adults too may receive one; however, this should be according to your doctor's advice. Considerations may include the health history of the patient, occupation, travel plans, geographical locations, age, and childhood vaccinations. Toxins called tetanus bacterium, which can prove to be very fatal, can damage your body. That's why a tetanus vaccine is given. This is usually composed of three injections with an interval of 6 months. Every 10 years, a booster dose should be administered. A child can receive a combination of vaccines against pertussis or whooping cough, diphtheria, or tetanus. A vaccine against the virus called Hepatitis A, must be given to children who are a little older than 2, especially if they're bound to travel in territories outside the United States, such as Northern and Western Europe, Canada, Australia, Japan, and New Zealand. They should also be given to adults who are drug users, individuals who are suffering from chronic liver disease, male homosexuals, as well as those with blood clotting problems. The vaccine should be given in two doses, with a 6 to 12 months interval. Hepatitis A vaccination must be routinely given to children who are living in areas with a Hepatitis A problem. Administration of smallpox vaccines was a routine until 20 years ago until the disease was eliminated and thus the vaccination was also discontinued. However, because of the threat of smallpox use in terrorism as well as the vaccine's wearing off every 10 years, there may be a need to promote smallpox vaccination again. In general, the vaccine is harmless. However, in some cases, severe reactions can occur at a proportion of 100 in every one million individuals who weren't vaccinated before. Death can happen for every 1 in one million. If you were vaccinated before, then the chances of experiencing these reactions lessen. If this should be continued, it's advisable to administer it only to areas that are having a smallpox epidemic. They are best given to individuals who are in the earliest stages of smallpox. Polio vaccine should be given to all children. Earlier, the vaccine was composed of a weakened but alive virus, and was taken orally. But about 1 in 2.4 individuals, who received oral polio vaccine, acquired polio. For this, U.S. doctors are now using polio vaccines that can be injected. Polio is now considered a very rare disease in America; thus, people who are over 18 but didn't receive any polio vaccine shall not be given such unless they need to travel to locations where polio is rampant. Influenza vaccines should be given to individuals who are prone to developing the disease as well as its complications. These people include health care workers, those aged 50 and above, and people living in nursing homes. 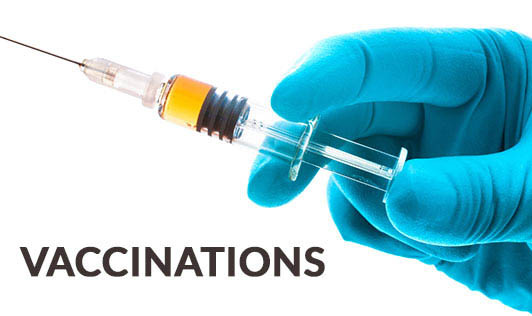 People who are suffering from sickle cell disease, chronic heart disease, lung disease, diabetes, kidney failure, weak immune disease, and HIV infections should also be administered the influenza vaccine. The best time to get an influenza vaccine is between September and October, since the outbreak can start at midwinter or late December. Because the virus seems to change every year, influenza vaccine should also be administered each year. Common viral infections include German measles or rubella, mumps, and measles. Those who were born after 1956 and never suffered any of this or for those individuals who are exposed to these conditions but never got two doses of such vaccines must be the main priority. Those who are in college, or about to join the military, or employed in child care centers and schools must be given viral infection vaccines. However, this is not administered to pregnant women and individuals allergic to eggs. There can be individual vaccines for rubella, mumps, and measles. What is commonly given, though, is a combination vaccine. As they say, prevention is better than cure. What we have is a body full of immunities. But if we want to enhance our resistance against sicknesses, you need to get a vaccine.